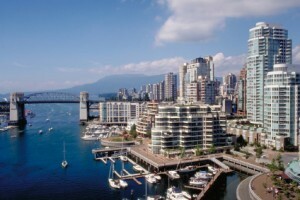 Teach English in Canada, where the ESL market is the largest among English-speaking countries! Canadian cities are some of the most modern and peaceful in the world. Furthermore, most of Canada’s ESL institutes are recognized by Languages Canada, which sets the bar for management and instruction! Teaching IELTS is perfect for experienced English language teachers who want grow in their career and earn a higher salary. There are many highly paid English teaching jobs in Canada. Apply now for free. Earn up to $45/hour teaching IELTS preparation course. Below you will find more than 10 IELTS teaching jobs from all over Canada. 250-hour TESOL Diploma with 20-hour Teaching IELTS Specialist! GLOBAL VILLAGE TORONTO is now hiring! Teach English to international students in Toronto. Part-time and full-time summer TEFL jobs in Toronto! Apply now! Quest Language Studies in Toronto is Looking for ESL Teachers! Quest Language Studies Toronto is hiring ESL Instructors and ESL Instructor/Activity Leader to join their Summer Campus. Come and Join a winning team! Top candidates will be qualified, dynamic, love leading and joining in activities (C.N Tower, Aquarium, Blue Jays Games, Bowling, Wonderland, Niagara Falls and so many more) and of course delivering great educational material to our variety of international students. https://tefl-jobs.ontesol.com/wp-content/uploads/2015/03/ontesol-logo1-300x137.jpg 0 0 admin https://tefl-jobs.ontesol.com/wp-content/uploads/2015/03/ontesol-logo1-300x137.jpg admin2016-06-16 16:10:542016-06-16 16:10:54Quest Language Studies in Toronto is Looking for ESL Teachers! GEOS Language Academy Calgary is looking for supply ESL Instructors . GEOS is an international organization that spans over 13 cities in 4 countries. All GEOS locations in Canada are approved by Languages Canada. Connect School of Languages is Hiring! Connect is a boutique language school located in the heart of downtown Toronto. There are no blackboards at Connect! Each student has his/her own tablet, which they use to create movies, podcasts, and blogs. Classes at Connect are very interactive and fun. Furthermore, Connect creates their own textbooks in an organic and collaborative way. https://tefl-jobs.ontesol.com/wp-content/uploads/2015/03/ontesol-logo1-300x137.jpg 0 0 admin https://tefl-jobs.ontesol.com/wp-content/uploads/2015/03/ontesol-logo1-300x137.jpg admin2015-07-19 18:01:422016-07-20 19:20:12Connect School of Languages is Hiring! Vancouver is a great place to teach English. There are plenty of ESL schools that cater to international students, it is one of the most prosperous cities in North America, and the weather does not get as cold as other parts of Canada. Vancouver is special due to its proximity to the sea, for all that sea breeze and beaches mean to those who love the ocean. If you love the mountains, the city is also steps away from beautiful mountainous lakes and fun ski resorts! As every Canadian city, Vancouver enjoys a very multicultural menu, offering Chinese, East Indian, French, Italian, Japanese, Mediterranean, South Asian, Steak and Seafood, Vegetarian and West Coast food. TESL Canada certification is necessary to teach in this wonderful city. You can take the course online or on-site as long as it’s recognized by TESL Canada. If you take the course online, a supervised 20-hour Practicum is required to receive TESL Canada certification. Toronto is one of the best places in the world to teach English. It’s modern, peaceful, and has one of the world’s largest ESL markets. This is a city of restaurants and art. Walk down any street and you’ll find a good place to eat. Enjoy tastes and products from every corner of the world in this fascinating multicultural city. Visit one of the many modern museums and art galleries. The Art Gallery at the ROM has more than 15000 paintings and caters to 800,000 visitors each year. In September, walk down Yorkville to snap a picture of your favourite movie star. The TIFF premiers the best movies and A-list actors like George Clooney are often in town. Other popular festivals between June and October are Caribana and Nuit Blanche. If you like music, there is always something going on at the Air Canada Center, Rogers Centre, Canadian National Exhibition, Harbour Front Centre, and the Ontario Science Centre. You can also discover a local band at the Horseshoe Tavern, where the Rolling Stones used to come, or check out Now Magazine and Eye Weekly for the best shows in town. If you like the outdoors you have plenty of parks for biking, soccer, and a good-old BBQ time, and if you are especially looking for an adrenaline rush, Canada’s Wonderland has some of the best roller-coasters in the world. Teaching in Toronto can be a lot of fun, especially in the summer, but the right TESOL certification is required. Most schools will ask for TESL Canada Standard 1 or higher TESL Canada certification. If you have taken a CELTA, TESL Ontario, or Trinity CertTESOL course, contact TESL Canada for more information about how to get the equivalency credits. Canada attracts millions of tourists and thousands of immigrants every year. Although the weather is cold most of the year, the standard of living and quality of life is one of the best in the world. Working visas are hardly granted on the basis of becoming an ESL teacher, so due to strict immigration regulations, British and Americans are the only foreigners that have it easier when it comes to finding an ESL job. The summer is the busiest season for ESL schools, so if you have already become an accredited TESL Canada teacher, you should start applying for jobs around May. Canadian summers are a lot of fun as people take advantage of the nice weather and beautiful parks to go camping, play sports, or simply have a beer at a patio watching people pass by. The winter can turn dull if you don’t take advantage of sporting facilities, but cities like Toronto, Montreal, and Vancouver remain very dynamic thanks to a very well-built infrastructure with excellent public transportation. Canadian culture is very supportive of businesses, artists, and other cultures. This is the reason you will find many different things to do, friendly people, and great restaurants!